We’ll Be With You Through All The Ups And Downs… Reliable, Nerd-Level Service And Installation. Let’s face it, your garage door is pretty much the last thing on your mind – until it traps you in or out of your garage. Door Dorks is the most convenient, responsive, and friendly full-service garage door company in San Diego. We harness our nerd-level garage-door knowhow to repair or replace your damaged or aging garage door. We take pride in our work, delivering exceptional service – on time, and within most budgets, and we work super-efficiently to help you get back to the more important things in your day. *Authorized Clopay Dealer* We are a 'one-stop-shop' for ALL your gates and door needs including garage doors, front entrance doors, pedestrian gates, front entrance gates, automation and hardware for both residential and commercial properties. Access was incorporated in San Diego in 1992 as a family run business. 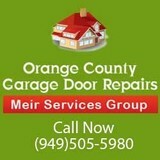 We began as a residential repair garage door service company specializing in fixing broken garage doors in San Diego. Today Access Custom Garage Door & Gate has grown into a full service door and gate company. We have the largest product range in our industry. As an authorized Clopay dealer and a custom wood garage door dealer, we can provide the most affordable and highest quality product range across the board. Access’ product range also includes custom driveway entry gates, pedestrian gates, front entry door systems, garage automation, gate automation all covered by the # 1 expedient residential garage door repair company in San Diego County. In 2007, Access expanded yet again into the commercial door market and we are proud to offer not only residential garage doors and gates, but also commercial doors, commercial gates and commercial 24 hour service and repair. At Access we strive to bring you the highest quality, most exciting and best engineered products on the market. our endless commitment to customer satisfaction forces us beyond any benchmark set by any other company in our industry. We specialize is custom designing and building garage doors and gates to suited to your specific needs. Meet with one of our Sales & Design Consultants today to get started. 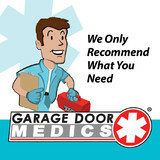 We are pleased to introduce you to Garage Door Medics, a progressive garage door company born out of sunny San Diego, California in 1990. We serve communities throughout the United States with unmatched residential and commercial garage door services. We’re here for you 24/7 for any emergency and we are your one-stop shop for maintenance, installation, repair, and parts. We strive to offer the best home service experience every time we service your garage door system. For over two and a half decades Garage Door Medics has been bringing trust, honesty, and transparency into the garage door service industry. We are a people company that sets the bar for garage door repair and installation. Our goal is to be the go-to service provider throughout the nation. Since the day we opened our doors, Lockout Garage Doors has been committed to providing our clients with the finest quality products and services possible.We have earned a well deserved reputation with homeowners, architects, builders and developers for creativity and professionalism. Our commitment to quality and attention to detail has made us a leader in our field. 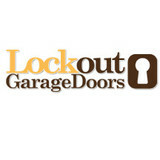 Family owned and operated, Lockout Garage Doors is the clear choice for custom work and service. You can find our custom garage doors at homes of the famous, almost famous and not-so-famous throughout Southern California.Whether you need a single garage door or an entire complex of doors, Lockout Garage Doors will custom design, build and install your door(s) made from your choice on the finest woods with custom trim, windows and hardware. IF YOU CAN DREAM IT WE CAN CREATE IT! Expert maintenance by trained garage door technicians. Top of the class garage door repairs, service and maintenance, sales and installation. Fully Licensed, Bonded and Insured tradesmen and technicians. Garage Doors Unlimited has been serving San Diego County since 1999, and has installed thousands of steel, wood, and custom garage doors. "Our mission is to provide extraordinary service, superior products, and all at competitive prices, so our customers will help our business grow!" We are artisans and builders that create custom wood garage doors, driveway and entry gates, and awning windows. We carry your traditional steel garage doors from manufacturers like Amarr, Clopay, Martin, and garage door motors from Liftmaster and Marantec. Our service team is also fully equipped to repair your broken garage door panels, springs, cables & rollers and so much more. Visit our profile and see why we are the preferred garage door company in San Diego. We know you deserve the best and we will provide that promise! Industry titan with years of experience servicing residential and commercial garage doors. Offer same-day service at no additional cost to provide safe, low cost repairs to residents of Orange, Los Angeles, San Bernardino, and San Diego county. Contact us today to schedule an appointment at 714-612-1143. We are trained and certified Garage Door Repair Company, that means that every technician on our team is a professional in his/her job and expertise. We are trained and certified Garage Door Repair Company, that means that every technician on our team is a professional in his/her job and expertise. We have dealt with any possible Garage Doors Service and we have came out successful in ALL of our service calls. There is no job tough enough for Garage Door Repair Encinitas . Whether the garage door has collapsed or misaligned, fell off track, failed door opener, broken drum roller, or simply needs a grease up to stop a squeaky noise, we are here 24/7 with FREE estimate on your Garage repair! What types of garage door service tasks do contractors in Oceanside, CA provide? A damaged garage door can lead to increased security risk, ruined belongings and an unpleasant exterior, so look for Oceanside, CA repair professionals who provide same-day or emergency services if the damage is extensive and poses a potential health and safety risk. Find Oceanside, CA garage door repair professionals on Houzz. Narrow your search for garage door repair professionals by selecting the nearest city or zip code. Look at portfolio and product photos, and read reviews to find the best garage door contractors in Oceanside, CA for your home.